This is an “Accoridion” Script. So-called “Accordion” is a drop-down panel that holds some additional content. Let us examine this coding. 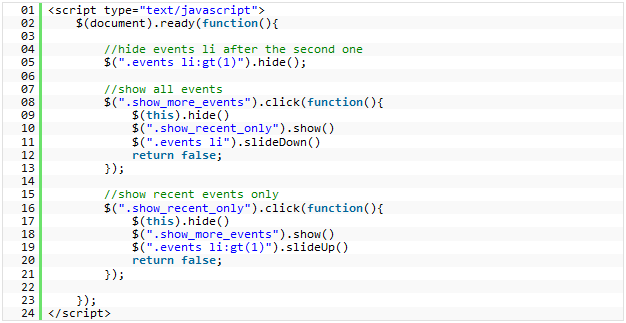 “Accordion” is represented by a bullet list (<ul> tag) with the .events class.